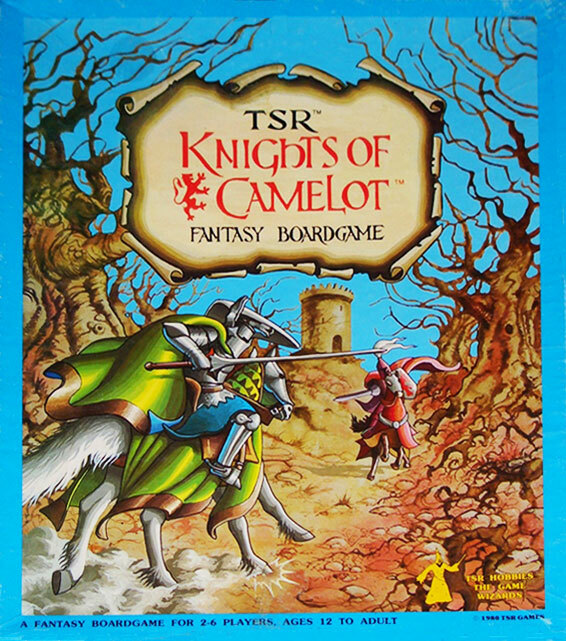 I love looking at some of the old TSR games, especially the ones that were not first stringers. Recently, I stumbled across Knights of Camelot (1980) and it got me digging a little deeper. I studied Arthurian legends a bit in college, from a literary perspective, and am a fan of most of the pop culture examples that have come down the pike in my lifetime. 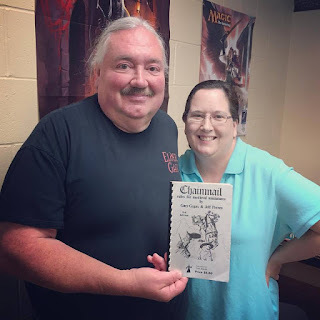 It sparks my imagination and most representations strike the right balance between chivalry and questing that influence my tabletop RPG sensibilities. Another game from the same era, Divine Right, I've enjoyed playing it and try to get in a couple of games every year: one to warm up for Gary Con and one at the convention. 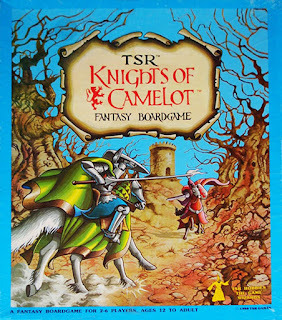 If Knight of Camelot is half as fun, I am sure I will love it. And, the BGG listing for Knights says it only take an hour to play! Of course, at the end of my searching, all I could find on eBay was one copy, across the pond, that would cost around $150.00 to procure. Oh, well. I'll set up a search to save and see if something cheaper and closer to home comes along.